And this is being welcomed not just at the Daily Mail, of all places, but on blogs and fansites. Apparently, according to WinSuperSite the vanguard of the Red Youth will spend most of its time in Metro while the legacy UI will only be relegated for use by “office workers”. I’ll explain a few of the problems here. But first, it must be said, it’s a bit of a crying shame. It’s a shame because the underlying Windows 8 code shows considerable improvement. Windows 8 shows the fruit of several quiet years of throwing out the cruft and refactoring vital portions of the software for performance. Windows 8 boots much faster, applications spring to life, and many common operations just feel more responsive and crunchier – on the same hardware. 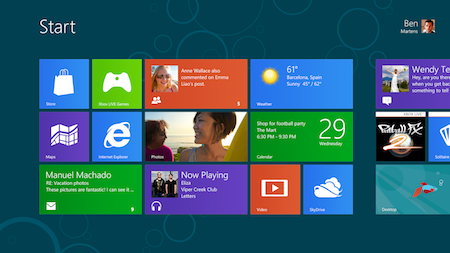 Windows 8 without the Metro UI might even be the best version of Windows that Microsoft has produced. The problems begin with the Metro screen, which is the fullscreen overlay now invoked every time you hit the Windows key, and the mandatory replacement for the old start menu. But once you’ve installed a few basic apps, this is what you actually see. You see your iSCSI Initiator, your ODBC Data Sources and all your uninstallers. Microsoft hasn’t hidden anything or cleaned it up. It’s like when the camera accidentally wanders to the side of the soundstage and you see the backs of all the props. What a great use of space. In time, no doubt, we’ll get more sophisticated desktop Metro apps – with the extra uncertainty that they won’t run on a Windows Phone, and smaller devices. Ho hum. Here’s an example of both over-simplification and duplication, two issues which plague this release. Finding common items has become a crapshoot. 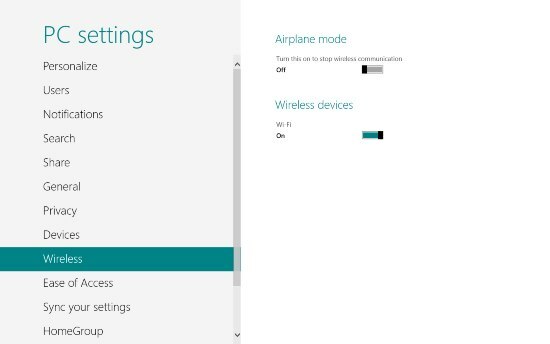 There are two control panels, this being the simplified, Metro settings panel. Very nice. Now where’s the Bluetooth toggle? Phones have them. It’s a trick question, because it’s not there. Now you can’t actually do anything with the devices here. Want to check the toner level of that Brother laser printer, or print a test page? Tough. Right click, and nothing happens. Another strange inconsistency is task-switching. This seems to be something the Red Guard doesn’t want you to do. 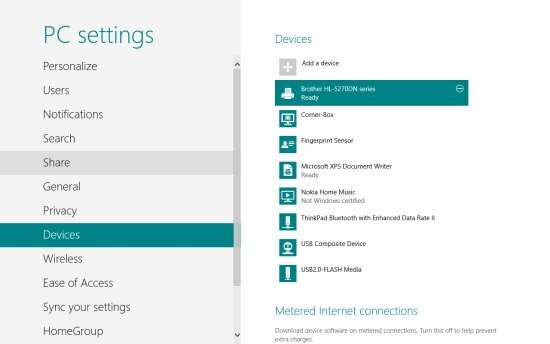 In last year’s developer preview of Windows 8, it wasn’t possible – you had to swipe through all your applications one by one. 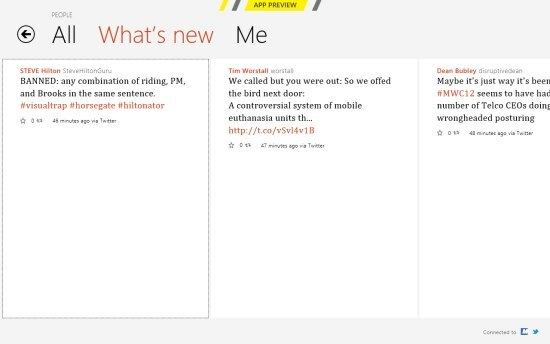 Like you do on Windows Phone. With a back button. Win-Tab slides open a vertical task bar on the left, with thumbnails of your running apps. Except it doesn’t. Here, Opera and Paint.net and a couple of Explorer windows are running, but not displayed. As task-switching goes it’s useless. The most persistent annoyance is being thrown back into Metro when you don’t want to be, and while you can change the default handlers for every application Microsoft is going to insist on Metro. This is just folly. Underneath we have a steadily improving OS, and we have a decent UI layer designed for smaller touch devices. That’s all fine. I have nothing against Microsoft introducing Metro as an option, as it did with Active Desktop and Windows Widgets.